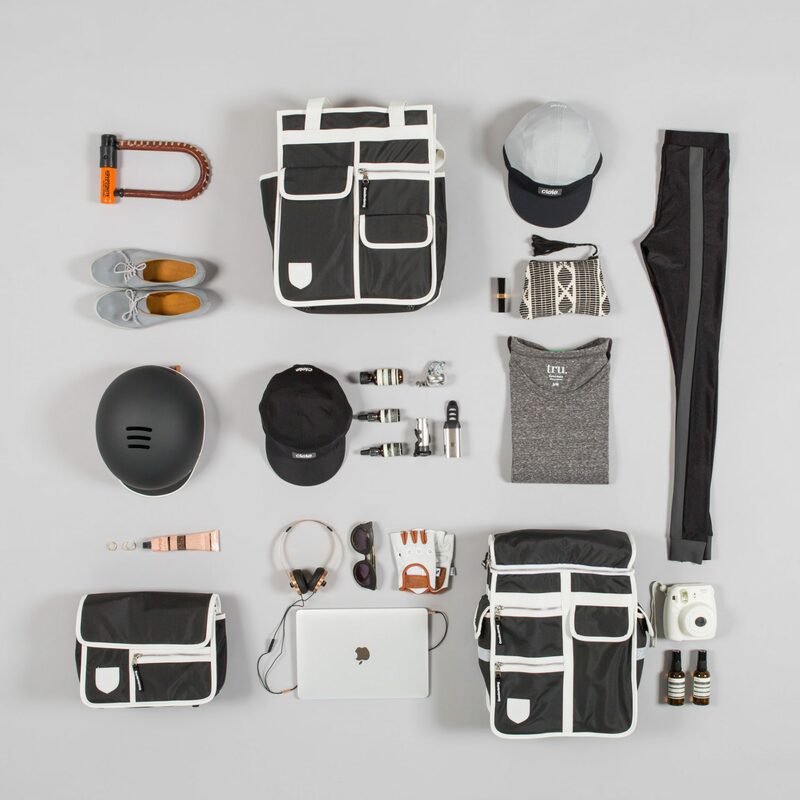 From designing bags for internationally renown brands like Puma and Debenhams to threading a path where cycling meets fashion and fastidious organisation. We pick Jacqui Ma’s thoughts on her life’s intersection with two wheels. We hear you lived sometime above a bike store. Tell us something memorable about that. Yes, I still live in the same building as where the bike shop Lock 7 used to be. Then a year ago the bike shop closed and moved to a different location about 200 metres down the road. Now I rent a studio on top of the same bike shop in the new location, so you could say that I’m stalking them. Some creatives have people as muses, I have a bike shop, and this particular bike shop that is my muse! 🙂 What is so special about it is that it is a true community bike shop, the local kids come round and fix their bikes with the tools and Kathryn knows everyone by name. Tell us about a bit more about your retro inspiration for the Goodordering style. What is it about the aesthetic and why it relates to you. I had been working with factories in China for a while before coming up with the Goodordering design. Believe it not, the design comes from the fact that I had zero money when I started the business. I wanted to offer colourful bags and the cheapest way to add material without too much cost was to keep the white binding across the colourways. 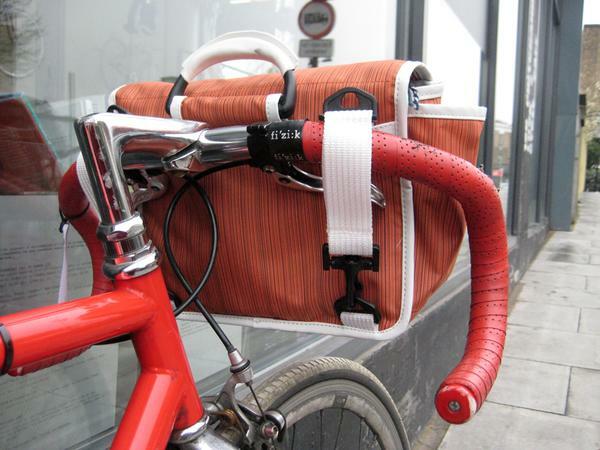 I love being organised with pockets and many of the bike bags out there are like sacks. 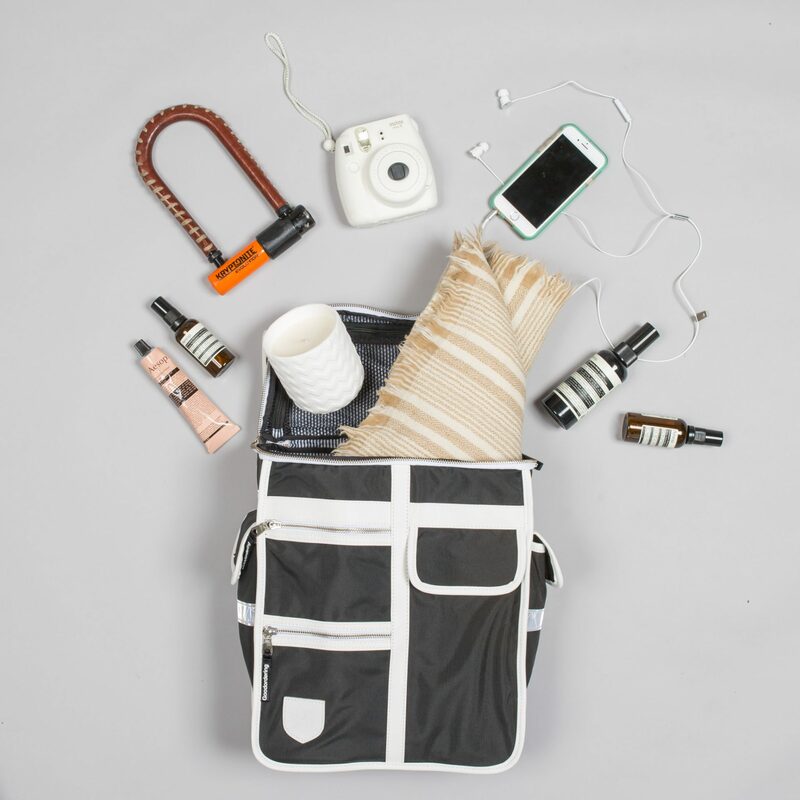 When I sat down to design the range I wanted a bag that my friends would like and want. I knew that if I designed bags that people I knew would want, other people might want them too. I’m inspired by the 70s and 80s. Thats when I grew up, so the bags have a particular retro feel to them which I translate into a kind of timelessness. What’s your current bike setup? I go for low maintenance, so my bike has been built by Kathryn (from Lock 7) from a vintage frame she upcycled. It is fixed gear and the only issue I have with it in 5 years is the bar tape recently unravelled. It has a pannier rack and rides quite upright. I also recently picked up a vintage Moulton at a bike festival called Eroica Britannia. It’s now my little fun buddy for the odd local ride. 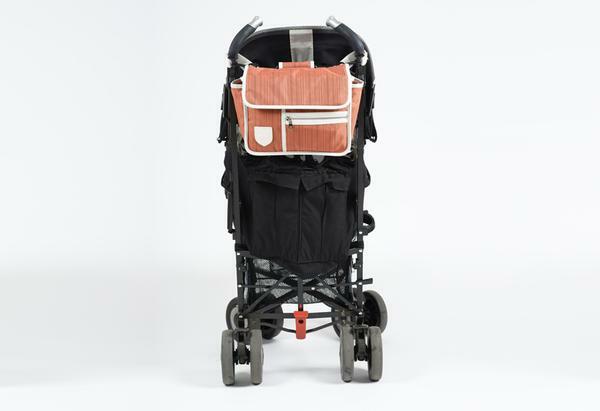 As a young mother, could you share some advice or inspiration for others about your current everyday experience of cycling, how do you make it work while keeping it chic and fun. I am pretty brave and cycled all through my pregnancy. I think it’s cadence really suited Otto, he has been riding a bike since 3. We very much use bicycles as a way of getting around. It means we can go to the ‘good park’ with the ‘big slide’ in Victoria park rather than the close park which is more for ‘babies’. My style of riding definitely does not work up a sweat. I recommend panniers so you can ride unencumbered. Don’t feel like you need to be a hero and ride 20km’s, even if you ride to the nearest station and break up your trip with public transport, you’re riding. To stay chic you need to not get your flares or skirts stuck in the chain, accessorise your bicycle and enjoy it. At Christmas I like to decorate my bicycle with fairy lights. Anything to interact with other cyclists and have some fun is the way to go! 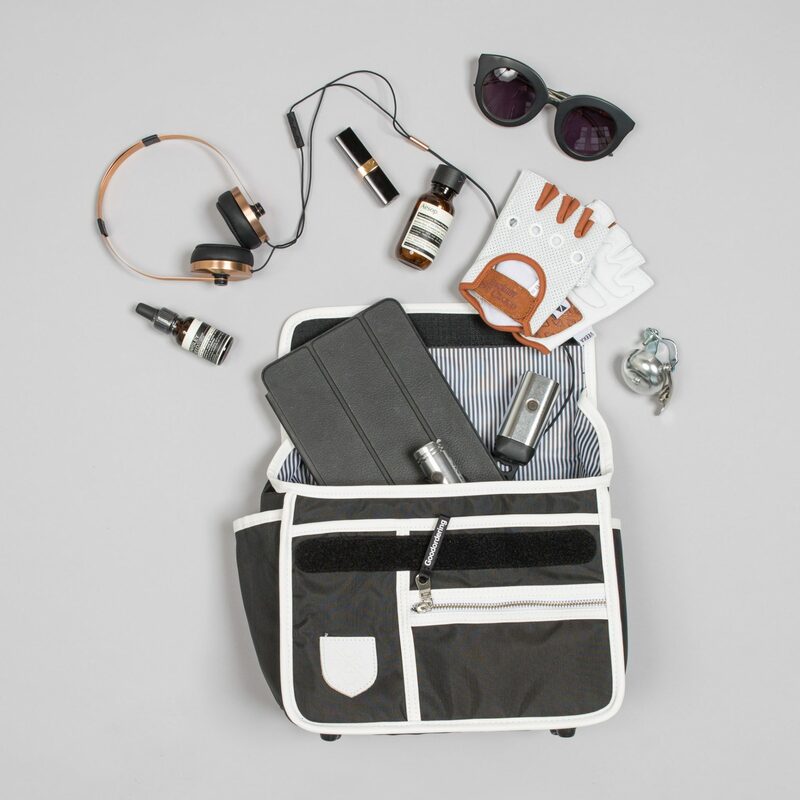 Goodordering bags aren’t just for cycling, but for anyone wanting to be organised on the move. Where are your current favourite hang outs or where do you love to take a bike ride to? I am an east London girl. My favourite places to hang out are parks, and they need to have cafe’s in them that make decent coffee. Victoria Park, London Fields, Broadway Market. They are all within 10 minutes on bike from my place. I am guilty of not having a very large radius, but in a big city like London, I find comfort in my little community. Can you tell us why bicycling is important to you? Cycling is important to me as an alternative mode of transport to driving cars. There are times when cars are needed, so my mission is more about getting people to ride bikes as much as possible. Goodordering’s attitude towards cycling is to be non-judgemental. Will you visit New Zealand? And what would you like to do here. I will definitely be visiting New Zealand next year when i go back to Australia to spend time with my family for the summer. My son will be at school soon so I’m going to make the most of the summer holidays and work from Sydney. I am definitely going to be visiting you guys at Action Bicycle Club. It would be great to alsoto visit the town Napier where I had some customers come from. I absolutely love art deco and architecture so city hopping is definitely on the agenda. Tell us about the people that inspire you and why. 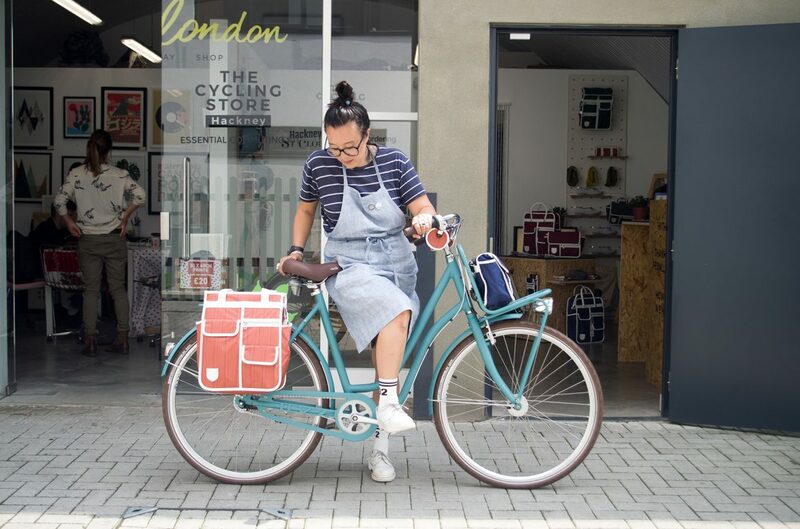 Obviously Kathryn from Lock 7 is a big inspiration, as is Jenni from the London Bike Kitchen and Jools who is Velo-city girl. These all happen to be women. I am very inspired by people who have carved out businesses for themselves, especially when the businesses help others. They are all so generous both with time and money. Creative people who are passionate will always be a magnet for success because a) they define success differently and b) people recognise passion and are drawn to it.